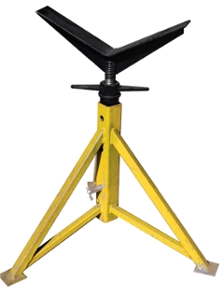 Tripod pipe stands serve a valuable purpose when a lightweight and portable pipe support stand is needed. 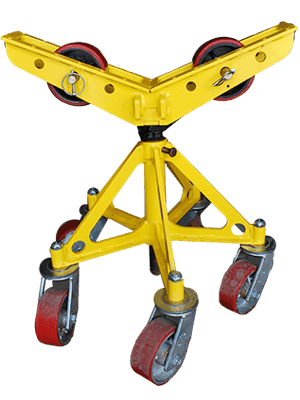 All LJ tripod stands can be equipped with a v-top support, roller wheels, or multi directional rollers, for any application. All LJ tripods utilize locking through pin and threaded fine height adjust for extra safety. 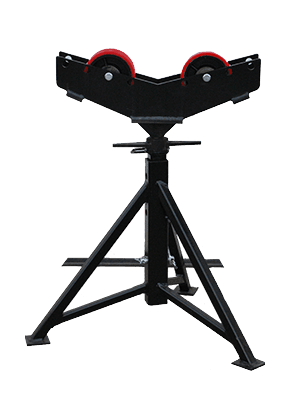 Diameter Range 2" - 28" 2" - 28" 2" - 28" 2" - 28"
Height Range 21" - 33" 16" - 25" 28" - 44" 33" - 56"
Footprint 23" x 26" x 26" 26" x 26" x 21" 33" x 33" x 21" 33" x 33" x 21"